• Growth of service sector, especially IT. In spite of the recent recession in the US economy, IT has been growing at an explosive rate with the requirement for skilled manpower in this sector desperately falling short of demand. As a result, countries that face such a shortage are busy recruiting manpower (on work permits) from countries, which have an adequate supply. • In this era of global village, a person today is a global citizen going and living where his/her career aspirations take him/her. One’s country of birth is no longer the default choice to pursue a career in. Thus, we have people born in one corner of the world migrating and pursuing successful careers in another part of the world. • Knowledge about Information, Communication and Entertainment, commonly referred to as the ICE Age has become increasingly important, rather inevitable for the students, specifically with the onset of IT. • The focus today is on acquiring multiple skills and cross functionality rather than specializations: Today organizations are not made up of different departments each of them having a focused task and a limited role; instead today they are made up of teams. These teams consist of people who although have specialized skills but have to synergize their efforts in achieving a common goal. • Liberalization, Privatization and Globalization (LPG) are also opening new opportunities for different people. Procedures like deli censing encourage entrepreneurial activity, which leads to a lot more people taking initiative and exploiting their talents to their fullest potential. It is astonishing how many 21-year-old millionaires exist today and it is anybody’s guess how many more are expected tomorrow. • Increasing presence of women in the working force plus increasing presence of women in areas traditionally considered male bastions for e.g. the armed forces. • As the standard of living is increasing throughout the world; people are moving away from pure monetary considerations while considering a career. True, monetary considerations are still very important, but the weight age of other factors like emotional satisfaction, spiritual fulfillment etc. is increasing. Furthermore acceptance of these factors in a career decision is universally increasing and today a parent is more considerate and open, if his/her teenager states the desire to become a DJ, instead of a Chartered Accountant. • Increase in pay packages plus increase in working hours but with increased flexibility. • It has been propounded by most of the management gurus that emphasis of the next decade would shift from design and technology to happiness and aesthetics, clearly indicating the trend that one's job should match one's potential and interest rather than be decided on one's whims and fancies and dictates of peers and the available norms. Consequently there has been increased job/career switching for various reasons ranging from growth prospects to personal factors like need for creativity etc. What does it all mean and where does it lead? Simply put, with so much happening so quickly, most of us do not know what to do. Taking the information mentioned above into consideration and other factors like Parental Pressure, Peer Pressure, Environmental and Social Norms, the issue (i.e. your career decision) gets all the more complicated. Another very crucial need also exists and that is an opportunity to identify and then develop those traits of your personality, which with respect to today’s scenario is absolutely necessary irrespective of one’s profession. Some of these traits are the ability to work in teams, leadership, creativity, communication skills etc. 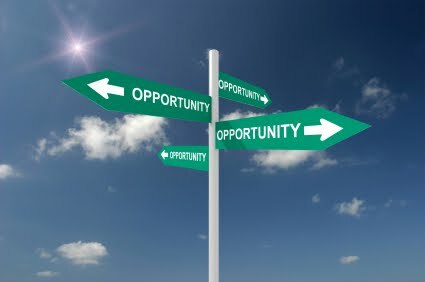 This simply means that there is definitely a need for one to go through a process, which will not only enlighten and inform the individual with respect to the various career options, but will also be a journey of discovery of one’s own Interests, Aptitude and Personality which are the very critical components of any career decision. Added to this, one also needs to identify areas of personal development and needs to work on them before embarking on his/her career roadmap. So, it is necessary for one to decide their career. Now that you have entered into B.Tech. So, now you have to start looking into your future. There are two options you prefer after you complete your B.Tech degree. If you are economically efficient and don’t need a job, it is better you go for your further studies. A specialization will always earn you more salary as well as priority during interviews and of course sound grip over subject. Otherwise you can find some job. The TOEFL® test is a registered trademark of Educational Testing Service (ETS®) and is administered worldwide. The test was first administered 1964 and has since been taken by nearly 20 million students. Since its introduction in late 2005, the Internet-based test (iBT) has progressively replaced both the computer-based (CBT) and paper-based (PBT) tests. The iBT has been introduced in phases, with the United States, Canada, France, Germany, and Italy in 2005 and the rest of the world in 2006, with test centers added regularly. The demand for test seats remains very high even after almost a year after the introduction of the test: Candidates have to wait for months since short-term test dates are fully booked. The four-hour test consists of four sections, each measuring mainly one of the basic language skills (although some tasks may require multiple skills) and focusing on language used in an academic, higher-education environment. Note-taking is allowed in the iBT. PSU's like BARC, NPCIL, HAL etc. give importance to GATE scores for various job positions in their organizations. The GMAT is one of many factors schools use when reviewing applications for admission; it is typically balanced with work experience, grades in previous schools, recommendation letters and other admissions criteria. The fee to take the GMAT is currently US$250, worldwide. Global institutes like ISB require the entries to write GMAT. What ever the branch you are in during your engineering you can get into a software industry with simply communication skills. It is good if you get a job during the campus placements itself because it is really difficult to find a job after you come out of the college. However there are various kinds of jobs in Software industry which you get accordingly as your course of study or your specialization. It is ok if you do job for sometime and start studying again for your P.G courses. If you are financially sound, you can start your own company with a little experience in some other company. Still there are various choices in jobs like lecturer in some famous engineering college, call center jobs, etc. So decide your career now it self and prepare accordingly to reach your goal.